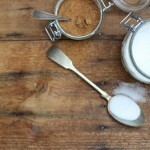 Ever since the world caught a glimpse of the unsettling side-effects that come with the intake of refined sugar, such as obesity and tooth decay, humanity has been looking for an appropriate sugar substitute. Fortunately, we have found several so far. But the thing about sugar substitutes is that not all of them are healthy. Today, agave syrup, xylitol and stevia sugar substitute are the most natural and healthy sugar alternatives that have been proven to boost the immune system. Xylitol is known to be beneficial for the overall dental health. Since they do not mess up the insulin levels and are not bad for the teeth, today more and more people opt for these natural sugar substitutes. Stevia is surely one of the most widely used sugar alternatives. Let’s take a look at some of its characteristics. If your wish is to take the best possible care for your health without adding much calories to your daily routine, stevia sugar substitute is the most appropriate choice for that purpose. Made 100% from a plant source, this sugar substitute has proven to be safe for use. The only thing you will need to adjust to, is using quite smaller amounts of this sweetener, since it is a lot sweeter than sugar. I am sure you will get used to it very soon as it tastes splendidly. 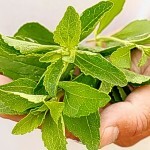 Stevia is a green leafy plant that is native to South America. It has been proven that this natural sweetener can lower blood pressure, thus help fight diabetes. Stevia sugar substitute can be found in liquid form or as a powder. Its taste may vary due to different types of manufacturing and different brands. The good news is, we do not have to give up sweets in order to avoid their harmful effects. That is to say, we no longer have to pay sugar’s high prices with our health. We humans are able to put our minds and efforts together and find a way to avoid harm, while retaining the pleasure we were after in the first place. While buying, look for sugar supplements from a reliable company and make sure that they do not contain any chemicals or additives whatsoever.